Sketch challenge time at The House That Stamps Built. I got a little artsy going on with my card for this sketch, beginning with some watercolor background frame for the larger focal stamps. The stamps I used here are RI #10310-H "Mum Solid", #10314-H, "Daisy Solid" and #10306-H "Daisy Solid Sm.". 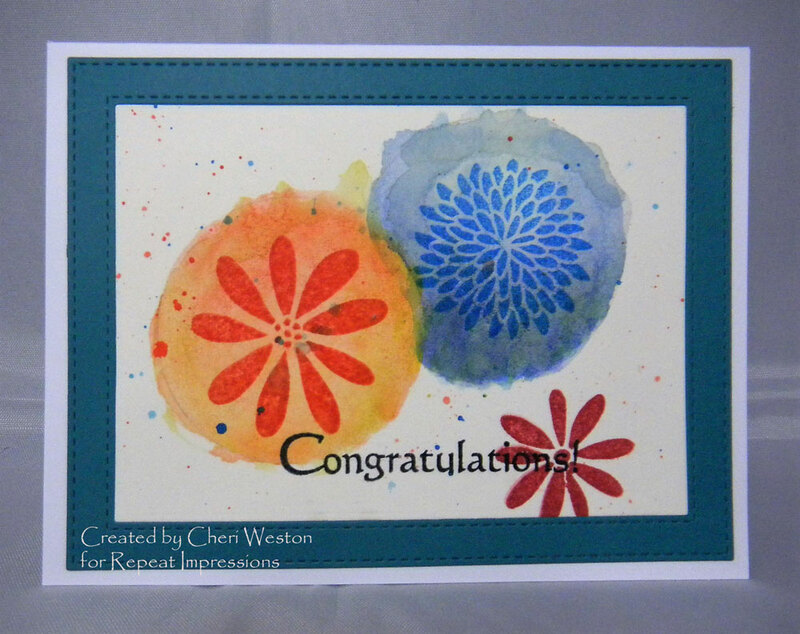 My sentiment is RI# 1102-E "Congratulations". Head on over to THE HOUSE and check out the awesome inspiration from the other Rock Stars. They are amazing!!! Also, while, you're there, get the details for how to enter your own card in the challenge. There's a $25.00 gift certificate for some awesome RI stamps to the lucky winner. Wow- Reminds me of fireworks exploding in the sky! I really like how your used watercolor in this sketch. Awesome job. 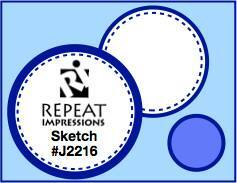 This was a great sketch - love your watercolor circles - I don't use my watercolors often enough. Great job. Very unique take on the sketch! A great look, too.